The leader in asphalt driveway and blacktop driveway services to residential and commercial businesses are the premier services of Everlast Blacktop. We have been providing quality driveway paving services and adding value to homes and business like yours for over 25 years. The experienced driveway sealcoating and blacktop driveway experts we employ have the equipment to get the job done no matter how big or small. You can depend on Everlast Blacktop to deliver a high quality, long lasting driveway paving experience. Free onsite estimates are always available. The oldest city in Kane County, Illinois is Batavia and was formerly known as the “windmill city” for the six windmill manufacturing companies there in the late 1800’s. The suburb of Chicago is part of the Tri-City area along with St. Charles and Geneva with a population of just over 26,000 residents. Like Everlast Blacktop, the residents of Batavia are committed to continually improving the quality of life in Batavia. Providing quality asphalt driveway and blacktop driveway resources are one way Everlast Blacktop strives to uphold the development and delivery of a more beautiful community. 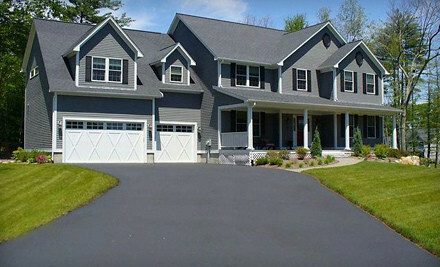 When you are looking for the perfect custom driveway paving experience, Everlast Blacktop is the one to call. Our team of professionals will answer all your questions from beginning to end, and our skilled driveway pavers will assure the attention to detail your custom asphalt driveway or blacktop driveway demands. Outstanding customer service is what sets us apart from other driveway pavers in and around the Batavia area. Whether you are looking for driveway sealcoating for your business or a new asphalt driveway for your home, Everlast Blacktop has what you need. Call us to schedule your appointment at (630) 855-5572.